Chris Markel has grown up in the Chattanooga area, and lived here with his family for most of his life. He received his Juris Doctorate degree from Cecil C. Humphreys School of Law at the University of Memphis in the year 2000, and is a graduate of the University of Tennessee at Chattanooga, with a Bachelor of Arts. 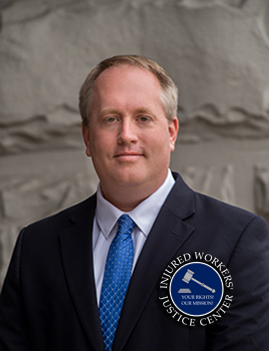 He has been a licensed attorney in Tennessee for 18 years, and has practiced worker’s compensation law throughout his legal career. Both Mr. Markel and Mr. von Kessler have worked for insurance companies and employers in defending worker’s compensation cases in their professional pasts, and they understand how insurance companies and employers operate in defending on-the-job injuries. 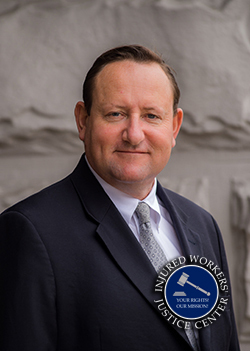 Mr. Markel passionately believes that employees who have been injured on the job deserve quality legal representation and he strives daily to earn a reputation with all of his clients as an attorney who will fight for the rights of injured workers. Wilson C. Von Kessler, II, has practiced law for over 20 years. Prior to representing the interests of injured workers, Mr. von Kessler spent seven years representing the interests of insurance companies and larger employers throughout Tennessee. Mr. von Kessler is the holder of a coveted peer-review AV Preeminent rating from Martindale-Hubbell. An elite group of just 8 percent of all attorneys hold an AV Preeminent Rating, a designation trusted worldwide by buyers and referrers of legal services. Mr. von Kessler was admitted the Tennessee Bar in 1997 after receiving his Juris Doctorate at the Cecil C. Humphreys School of Law at the University of Memphis, where he also received the Dean’s Awards for Academic Excellence in Legal Argument & Appellate Practice, ADR/Negotiations, and Criminal Procedure II. He attended Vanderbilt University where he earned his Bachelor of Arts degree for a double major of Political Science and German in 1989. Mr. von Kessler is admitted in all Tennessee state trial and appellate courts, including the Tennessee Supreme Court, as well as all three of the Federal District Courts for the State. He is also admitted in all Georgia state trial and appellate courts, as well as the Federal District Court for the Northern District of Georgia. He also served as an Assistant District Attorney in Memphis, Tennessee, immediately following his graduation from law school in 1997. You Have Rights and We Can Help!